how to find us in the Lighthouse Project? 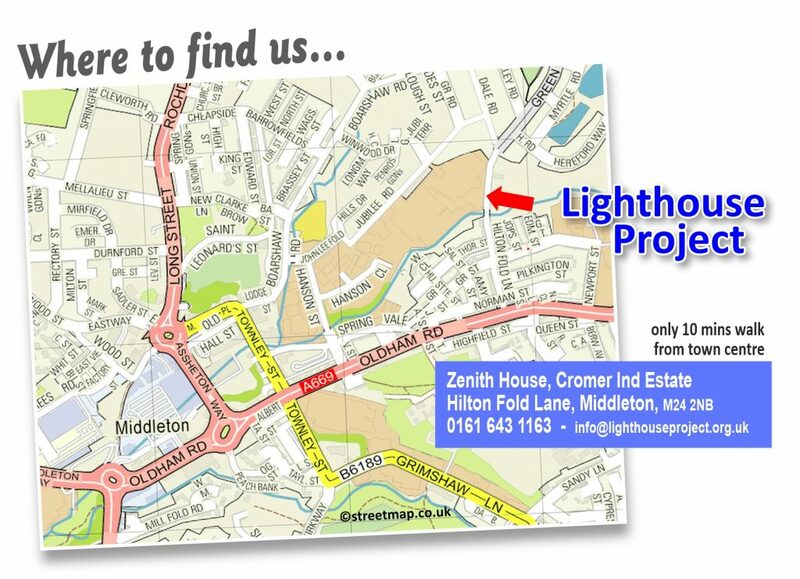 The Lighthouse Project is no longer in the Warwick Mill, if you have visited us before, we are now located in Zenith House on the Cromer Industrial Estate on Hilton Fold Lane, Middleton, it is less than a mile from the town centre and only a 10 minute walk from our old building in the Warwick Mill. Our post code is M24 2NB if using sat nav. Our entrance is at the front of the Estate just at the bottom of the ramp. If you’re not sure where this is then watch the short video clip to the right of this page to see where we are an what the inside of the centre is like. We have some parking, including 2 disabled spaces close to the entrance, and we have a level access and a lift to facilitate disabled visitors or parents with prams. 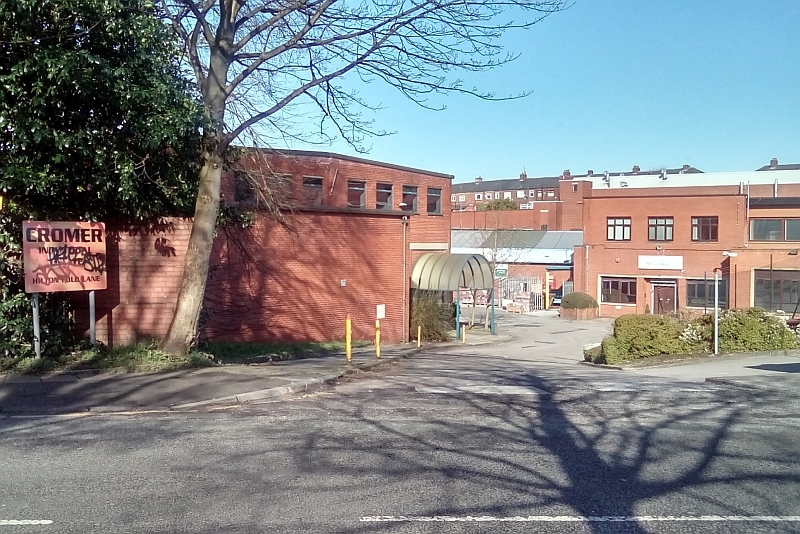 There are local buses that come along Hilton Fold Lane, and Oldham Road is a main bus route out of the Middleton town centre bus stations, we are only a few hundred yards walking distance off Oldham Road, and only 10 minutes from the town centre if you decide to walk. There is a limited amount of parking at the Lighthouse Project, along the sides of the building in the marked spaces. Please do not park in spaces allocated to the adjoining tenants or in the top car park which belongs to Miliken and is for their staff. There is on-street parking if our parking spaces are all in use, please park thoughtfully.